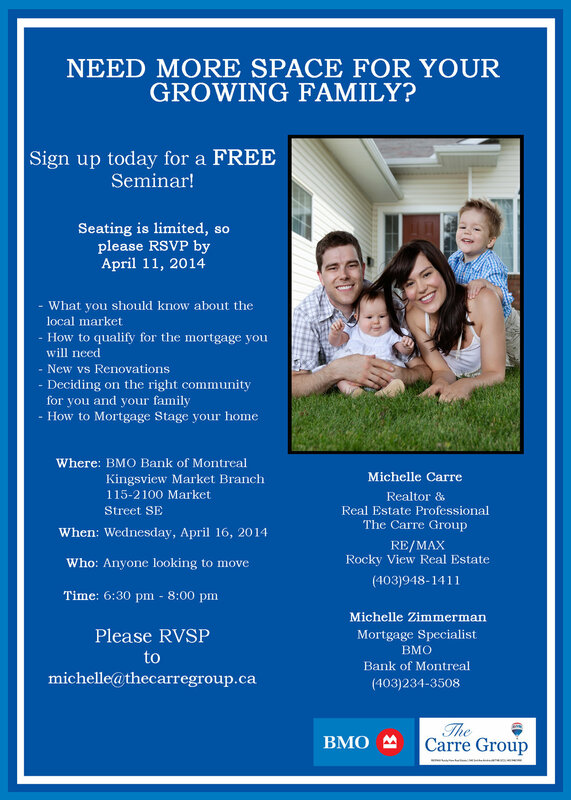 If you are thinking of moving up I would like to invite you to our FREE information seminar. Whether you are thinking of buying a resale home, building new or renovating your current home there are a number of things to consider and we would like to share them with you. Check out the details below and email me to reserve your spot.